Many unsuccesfull attempts before a british team forced a line up the white S-shaped wall (approx. 600 m). It now holds many hard lines, latest by a russian team in 2003. 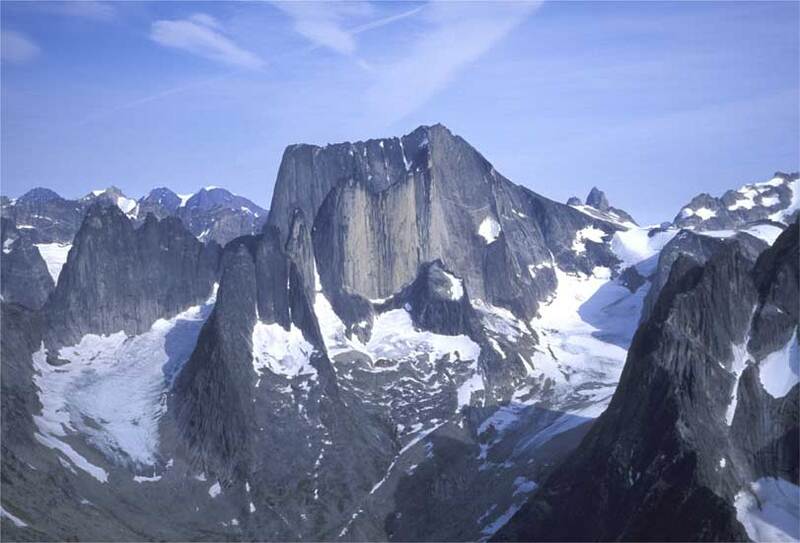 The wall behind has a distinct left facing dihedral cutting the wall from base and 700 m to the summit. Only problem is a glacial approach of 1000 vertical and very crevassed meters up the glacer from left side of the picture. Maybe it has been climbed - maybe not!